Open House on May 30, 2017. 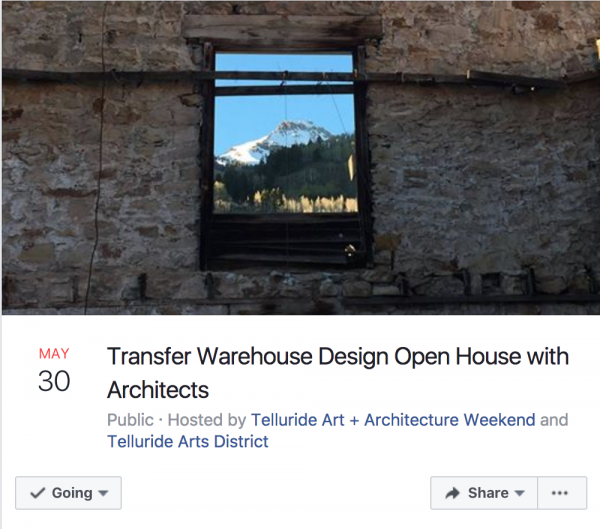 Three architecture firms, NADAAA, Gluckman Tang Architects and Lewis Tsurumaki are finalists in a design competition that will result in the transformation of the Telluride Transfer Warehouse into a cultural, architectural, and historic landmark. The project, being spearheaded by Telluride Arts, will result in the restoration of the historic stone exterior, and will provide bright, beautiful spaces to host cultural events in the heart of Telluride.